THIS PAGE IS NO LONGER MAINTAINED. PROJECT ENDED AND INFORMATION IS FOR REFERENCE ONLY. LAST UPDATED MARCH 2016. One East Midlands’ Reach & Impact project is an ERDF (European Regional Development Fund) and BIG Lottery funded project delivering a range of support activities for funding advisers to increase their knowledge and understanding of ERDF funding so that they are better able to advise third sector organisations. The project is primarily focused on increasing awareness and encouraging third sector organisations across the East Midlands, to engage in the ERDF programme and to ensure they have the right information to access this stream of European Funding. Improving impact and learning in targeted communities. Support East Midlands Councils in the role of developing learning, and capacity within targeted communities by supporting collaborative local partnerships with VCS organisations and supporting peer learning between targeted communities. 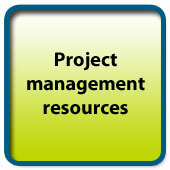 For further information contact Chris Hill, Project Manager, at chill@one-em.org.uk or on 0115 934 8436. To read an introduction to ERDF visit www.oneeastmidlands.org.uk/erdf. 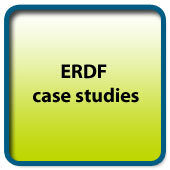 Below you will find links to useful information related to ERDF funding and One East Midlands Reach & Impact project. 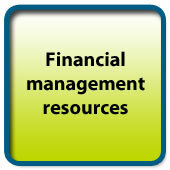 To access the resources click on the buttons. 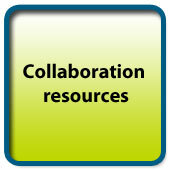 If you discover any relevant resources that you think should be included in this resource page email information@one-em.org.uk. One East Midlands circulates a monthly e-bulletin with all the latest ERDF news to those on its ERDF mailing list. Archive issues of these e-newsletters can be downloaded below. To sign up to the mailing list email information@one-em.org.uk. The Reach & Impact project has its own blog, with posts going to regularly written by members of the Reach & Impact team, at http://reachandimpact.blogspot.co.uk. If you would like to submit a guest post email information@one-em.org.uk. The timetable below, taken from Her Majesty’s Government, for the 2014-20 European Structural Investment Funds (ESIF) programme was updated in June 2015. New 2014-20 ESIF section of gov.uk website to go live with content on business process, policy papers, governance and online handbook. Managing Authority (MA) works with partners to develop Community Led Local Development (CLLD) proposals. UK Partnership Agreement signed off. European Social Fund (ESF) and the European Agricultural Fund for Rural Development (EAFRD) Operational Programmes originally expected to be adopted. 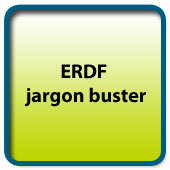 ESF & EAFRD Implementation Plan content originally expected to be agreed by Her Majesty’s Government (HMG). 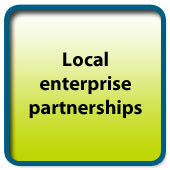 Information to local enterprise partnerships (LEPs) and partners on application process, including outline and full application forms, application guidance and appraisal guidance. Designation of the formal Programme Monitoring Committees (PMC) for the ESIF in the Growth Programme. After designation the PMCs will formally approve, depending on the fund. 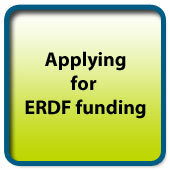 ERDF Programme originally expected to be adopted. ERDF Implementation Plan content originally expected to be agreed by HMG. Final feedback from Government, following Growth Programme Board (GPB) discussion, on any last revisions to LEP ESIF strategies required as a result of negotiations on the Operational Programme. LEP strategies originally expected to be agreed. MA originally expected to prepare first call. Calls originally expected to open for operations as specified, for first wave of CLLD activity and for first wave of opt-in activity. Information to LEPs, partners and potential applicants on contract management processes, including project initiation visit, monitoring and verification procedures including claim checks and on-the-spot visits, irregularities reporting and the on-line handbook. The European Agricultural Fund for Rural Development (EAFRD) Operational Programme officially adopted by the European Commission and can be found here. MA release Early ERDF and Technical Assistance Calls in March 2015, details available here. Structural Funds IT system goes live. To support first funding calls a series of documents, guidance and forms released on the GOV.UK website here. The Operational Programmes (OP) for the European Regional Development Fund (ERDF) and European Social Fund (ESF) due to be officially adopted by the European Commission and published on the GOV.UK website. The ERDF Local Management Committee continues to oversee the delivery and appropriate winding down of the 2007-2013 programme. Big Lottery Fund Launch. Open calls. Successful Early Call applicants invited to submit full applications, with a view to starting activity from September, or later depending on the project. The next funding calls are due to be announced. All funding calls to be viewed here. DCLG looking to make improvements to the current ESIF website pages, to make it easier to find the information partners need and responding to feedback received from partners on the current content.